An impostor doctor busted for running a medical clinic. A fake nurse caught injecting people. Phony dentists running a practice. A bogus surgeon performing procedures. But they’re all part of much larger – and until now – hidden problem involving the unlicensed practice of healthcare across Arizona. 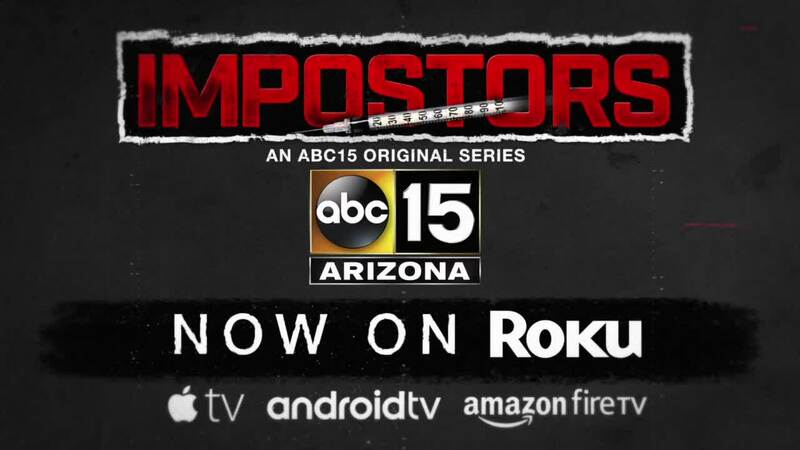 In 2018, ABC15 exposed and confronted a handful of impostors and obtained thousands of pages of documents from health boards, police, and prosecuting agencies related to unlicensed healthcare activity. In all, the station found there have been nearly 130 individuals officially questioned, accused, and/or found to have participated in unlicensed practice of health since mid-2012. The individuals can be found across Arizona and in many of the state's regulated health fields, including medicine, dentistry, nursing, psychology, and massage therapy. See the 130 individuals and their relevant records in the database below. *An explanation for the database is at the bottom of this report. What’s troubling: There are likely many more out there. In fact, Duplissis told ABC15 his office had 10 open investigations regarding impostor health professionals. Despite all of the unlicensed people in Arizona providing health care outside the law, only two of Arizona’s nearly two-dozen health boards openly warn the public. Those two are the Acupuncture Board and the Nursing Board. The Arizona Nursing Board lists all nurse impostors in a special section on its website. The names date back to 1997. The board recently added a new name to its list after ABC15 went undercover to bust an impostor who stole the identity of a real nurse and was injecting patients in a salon suite in Scottsdale. Some health boards refused to give ABC15 names or records, including the Arizona Medical Board. Here’s one example of how that puts you at risk. Before ABC15 exposed a convicted felon named Craig Scherf running a Tempe medical clinic, he had been reported at least four different times to state health boards dating back to 2005. None of the boards that received information about Scherf openly warned the public. After ABC15’s investigation last year, the Attorney General’s Office opened an investigation. Scherf is now serving an eight-year prison sentence. *About our database: ABC15 compiled a database of individuals who officials have questioned, accused, and/or found to have participated in the unlicensed practice of healthcare since mid-2012. ABC15 obtained this information through public records and information about unlicensed activity from law enforcement agencies and 20 of Arizona's health oversight boards. ABC15 added additional names based on the station's own investigation. Corresponding documentation is available for nearly every listed individual; exceptions are listed below. If you have additional information or concerns about a name in the database, please email dbiscobing@abc15.com .